Air is a powerful oxidizer of iron, manganese, and hydrogen sulfide. It has many advantages over chemical oxidizers, including its low cost and plentiful supply. Aeration treatment is automatic—no need for constant monitoring or chemical additions. It adds nothing objectionable to water and leaves no undesirable by-products. We sell both AerMax systems for vigorous treatment with a dedicated air tank, and Single Tank Aerators for treatment of low-level contaminants. Aer-Max systems represent the state of the art in non-chemical treatment of iron and hydrogen sulfide. 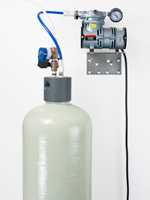 By using pressured injection of air into a dedicated aeration tank, these systems are able to treat higher contaminant levels than Single Tank Aerators and avoid the severe flow restriction associated with Venturi valves. 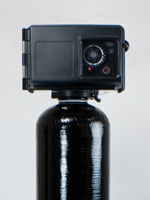 Single Tank Aerators perform both oxidation and filtration in the same tank. 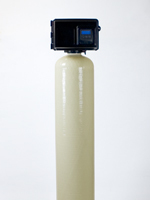 They're easy to install and maintain, and when contaminant levels are low they are a great alternative to more complex aeration systems. 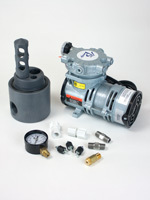 Air pumps, air pump parts, installation kits, repair kits, solenoid valves, aeration tanks and complete vent kits.